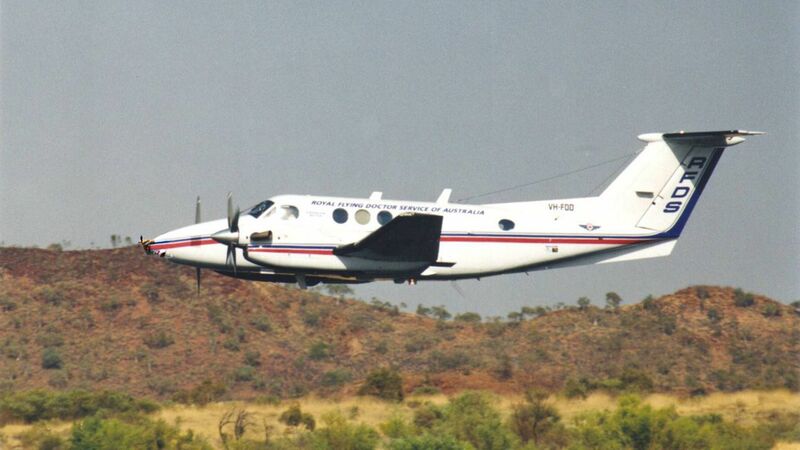 Here's where to watch every episode of The Flying Doctors season 4. Mouseover or tap an episode to see where to stream it. Click or tap the play icon to stream it on the best available service. Preacher Man Sep 15, 1988 A miracle performing preacher called Teddy Faithful, and renowned country and western singer Jenny Rose manage to cause quite a stir in town. The Fear (1) Sep 22, 1988 Chris becomess suspicious after Kimberly White's son Todd claims he is frightened of snakes and she believes that there is more to it. The Fear (2) Sep 29, 1988 Todd gets some help for his agraphobia and his mother gets him a motor bike in an effort to over come his fear. Fair Go Oct 6, 1988 New mailman Nick manages to cause friction after he begins charging more than Old Frank. After diabetic Gail Morris refuses to pay for a flight on the mail plane to town despite feeling unwell, it has some disastrous consequences. Broken Airwaves Oct 13, 1988 Kate decides to pay the Thargoomindah rodeo a visit after feeling that she is being under-appreciated and undervalued at work. Tragedy strikes on the way though after her car breaks down. Bed and Board Oct 20, 1988 Newcomer Ron seems to be answer to Sam and Emma's prayers when they want more help on getting the work on their property completed. Ron's past catches up with him though after Maggie sees him in town and she reveals that he is the father of the illegitimate son she had when she was young. Breaking the Drought Nov 3, 1988 A drought in the area leaves everyone fractious. After the pub runs out of beer, Vic travels to Broken Hill to get some more leaving Lucy in control. Marty takes over after Lucy becomes ill but Emma is furious with him for abandoning his responsibilities at the garage. Family Secrets (1) Nov 10, 1988 Everybody is surprised after Barry, Geoff's brother, shows up in town. There is obvious friction between them and Geoff forces Barry to stay with Vic and Nancy. Barry is popular with the locals and he wastes no time in trying to seduce Kate, much to Geoff's annoyance. Barry also helps Marty find the car of his dreams and offers him a trip to 'Surfer's Paradise'. Geoff takes some drastic action to get his brother to leave town, but he soon finds out that he is not open to bribery. Family Secrets (2) Nov 17, 1988 Barry continues to make a play for Kate and she asks him out to dinner to annoy Geoff. Barry is having money problems and is unable to pay his tab. He also becomes aggressive after Kate turns down his advances. Geoff pays his brother's bar bill and purchases the car he ordered from the garage. Geoff is finally able to Barry to leave town after they are involved in a fight. Geoff attempts to make amends with Kate. She is fed up with his secretive nature though and decides that she is going to leave town. All You Need is Luck Feb 9, 1989 Maggie is not impressed by Kate's temporary replacement. They are from the same town and Maggie is worried that Penny could reveal some skeletons from her closet. After Maggie moves in with Sam and Emma she confesses her past, revealing the existence of an illegitimate son. The Silly Season Feb 16, 1989 During a thunderstorm, a young man called Jamie believes he has seen a UFO and the Nomad suffers an unusual electronic malfunction. Every Situation Feb 23, 1989 George ends up being out of his depth after he takes in some rowdy boys from Canberra who have no where to stay. After they interfere with the flight deck on George's plane, it results in a crash and a stay in hospital. The Storyteller Mar 2, 1989 A storyteller called Tommy Barringa comes to the district and Jack and Chris goes to listen to him. Tommy and a girl named Lindey love eachother but Lindey's father doesn't like his daughter seeing a black man. The father is abused, he gets a dislocated shoulder and Dougie says he did it. Jack doesn't believe him but Dougie insists. Finally there's a fight between Tommy and the father and it also turnes out Tommy was responsible for the dislocation. Tommy ends up in prison where he kills himself. The Choice Mar 9, 1989 An air crash leaves two sisters seriously ill and the man they both live with a dilemma. Meanwhile Kate returns from her break determined to make her departure from Coopers Crossing a permanent one. A Shade of Doubt Mar 16, 1989 Gary Arnold and his daughter Su are forced to land in Coopers Crossing, Gary has collapsed over the controls. In hosptial nobody seems to know what's the matter with him. Finally Geoff has a hunch, he reckons it could be typhoid, and it is. Everybody is very upset, and they make sure to keep a distance to Su. Marty, who has taken Su under his wings, defend her. Finally it turned out Su came from a camp in Thailand, where she'd been ever since her mother died. Gary had tried to get her out of there, without success, so they had fled Thailand and entered Australia illegally. Jack worked it out though, and they could stay. Mick and Julia Mar 23, 1989 Mick and Julia comes to the Crossing trying to get away from Julia's daugther Prue. Everybody likes them, and Mick, who enjoys running, helps organizing a ""Fun Run"" - a 20 kilometres marathon, where all the money go to the RFDS. After the race Mick is resting in his room. But when Julia finds him, he is dead. She tries to kill herself but is saved, and eventually her will to live returns. A Thing of Beauty Apr 6, 1989 Emma's schoolmate Jenny comes to Coopers Crossing to visit Emma and Sam. She's acting really strange and Emma convices her to see Geoff. It turns out she's got anorexia, but she refuses to admit it. But finally she realizes it's for the best and goes for treatment. A mining company suspects there might be some minerals at Sam and Emma's property and they think about what they will do with all the money. In the end there wasn't any minerals worth extracting. Cadenza Apr 13, 1989 A childorchestra arrives in Coopers Crossing. The soloist, Andrew instantly falls in love with Emma. The bus broke down on the way to Coopers Crossing, that's how they met. When the orchestra is leaving the bus broke again! Emma had to order parts from Broken Hill. Andrew hurts his hand really bad and has immediate surgery, but there is no telling if he ever will be able to play the violin again. In hospital he tells Emma he fixed the bus to be able to spend more time with her. Gotta Have Friends May 11, 1989 Geoff gets a new patient, the donkey Druscilla who has psychological problems. He manages to cure her after a while. Geoff proposes to Kate! !